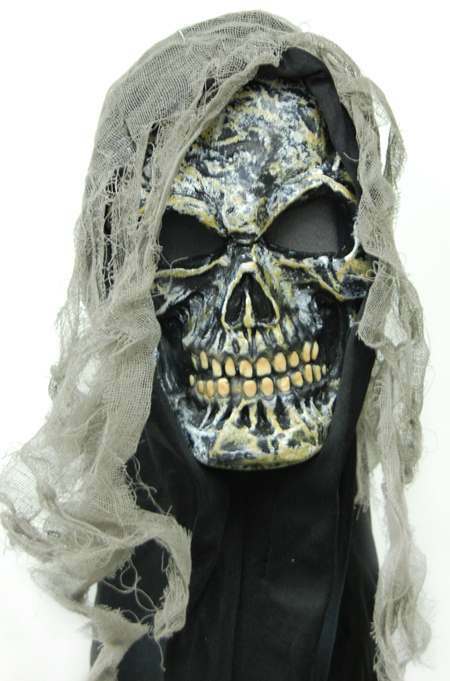 The Gauze Skull is a terrific skull Halloween mask . Vinyl mask covers only the front of wearer's face while the back of the head is covered with a black hood and gauzey strips of fabric. Eyes are mesh fabric so that the wearer can see out, but others can't see in.